Many quilters relax by hand quilting. Learn the rocking stitch and big stitch, plus tips on choosing stencils and marking your quilt. Find out more in the Class Description below. Quilters don't need to choose between machine quilting and hand quilting—you can do both! Many machine quilters are discovering the rhythm and relaxation that comes with hand quilting their sewn-together projects. In this class, quilters of all types and experience levels will gain valuable insight from expert Pepper Cory into traditional and modern hand quilting styles and techniques. 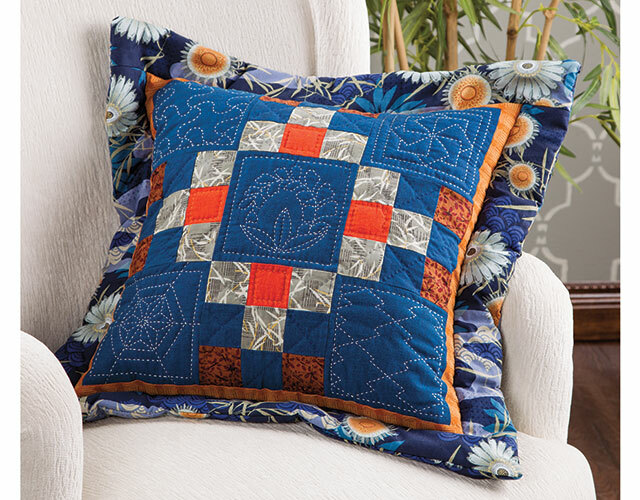 This class includes step-by-step instructions and diagrams for completing three exclusive quilting projects: Flagstones & Heather Quilt, Modern Twist Table Runner and Sashiko-Style Pillow. Choose which materials and marking tools work best for hand quilting. 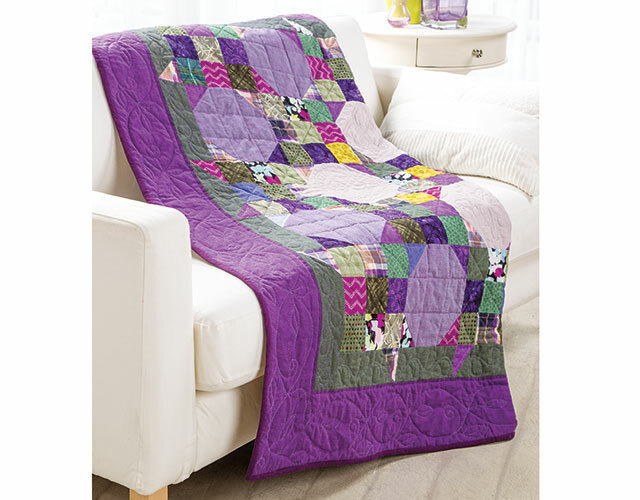 Choose a design to complement your quilt. Transfer a design onto your quilt with marking tools. Keep all three layers together with pin and thread basting. Size and customize a stencil design to your quilt. Create a paper model of your border design. Keep your back and body comfortable during quilting. Work the rocking stitch and make small, even stitches. Work the Sashiko-inspired big stitch, also called utility quilting. Impress judges at quilt shows with Pepper's "5 E's of Quilting." Quilters able to complete confident beginner level projects will successfully be able to learn the skills and techniques taught in this class. I've machine quilted dozens of small projects but I want to do larger projects I can't get through my domestic garment sewing machine - after watching this class I'm now feeling much better prepared to finally make a hand quilted bed cover. But thanks to this superb class I realize I need to start on something smaller like a set of table mats or even a pot holder to practice the techniques so my bed cover quilting is successful. Pepper is a great teacher and gave so many well presented tips with the excellent step-by-step instruction, I'll be looking for more classes with her now. Absolutely wonderful class, with a brilliant teacher. Pepper is clear and concise and also gets the quilting message across. I was hooked. Thank you for an excellent class! I purchased this class because Pepper is the instructor. She is such a great teacher and she makes everything look so easy. I will for sure be quilting my next project by hand. I wish Pepper would teach more classes. So very pleased with this purchase. I wanted to learn hand quilting for a long time. Looks like with this class I am finally doing it. It is so much easier than a expected. I like the teacher very much. With this course I will learn Big Stitch quilting. I was interested in this also. Now I have both techniques and I am so happy. Hand quilting is relaxing, I sit and stitch and for me it's a nice change from other types or crafts that a do. Thank you for another great class. 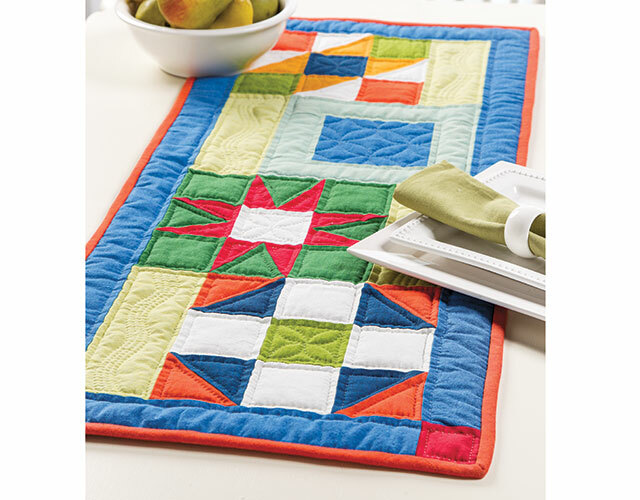 I have never made a better purchase in my quilting time than I did when I purchased this class. It is so easy to follow, and if I had known then what I know now, my quilts would have all been so much better. No more mistakes, she tells you everything to make a quilt right. Best instructor ever. Thanks.